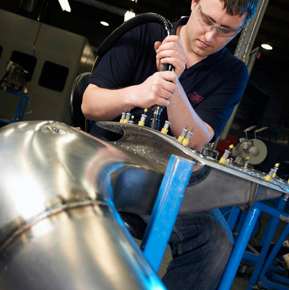 Senior Aerospace Thermal Engineering is a leading aerospace components manufacturer, supplying aero engine and airframe OEMs and their Tier 1 suppliers globally. They specialise in hot and cold formed components in high temperature aerospace alloys, complex fabricated assemblies and thermal insulation heat shields and systems. When Thermal Engineering approached Black Pig in 2012 to design and build a new website for them, the project included writing the copy. The Black Pig copywriters started by visiting the client’s premises for a guided tour of their purpose built manufacturing and assembly facility. 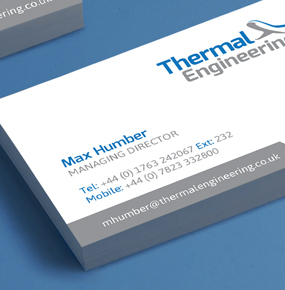 They met with members of the Thermal Engineering team and gained valuable insights into their specialist skills and learned more about the specific processes which the company uses. As Thermal Engineering is a global business it was very important that the copy be written in language which would be easily understood by an international audience. It should also be suited to non-technical users of the website. The company felt that it was frequently pigeon-holed as having mainly hot forming capabilities, so another important factor was that the copy highlighted the much wider scope of their expertise whilst not diluting their specialism in hot forming. It was also put together in such a way as to help boost the site’s search engine rankings.